A rare gift that can be put into inventory. 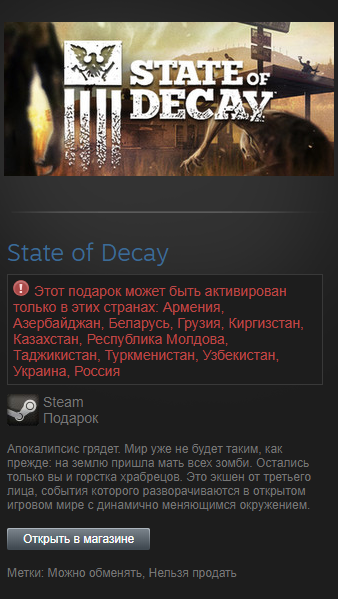 Normal edition, which is no longer sold on Steam. Apocalypse is coming. The world will no longer be the same: the mother of all zombies came to earth. Only you and a handful of brave men are left. This is a third-person action game, the events of which unfold in an open game world with a dynamically changing environment. To survive, you need to unite and start building a new life. Break camp and make of it an impregnable fortress. 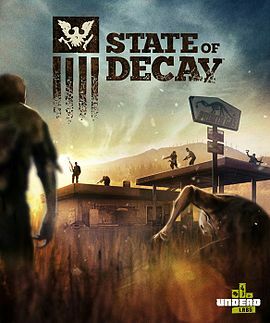 Get food and weapons, making daring forays, rescue other survivors and take advantage of their unique talents.